Another in my growing series of dessert beers, this came in a four pack, so I better like it. If not, I'm stuck in the same situation I was with that white stout that tasted of coffee and have three of sitting in my fridge right now waiting for a visit from friends who like coffee. 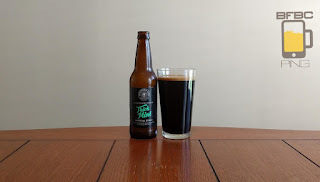 Licorice black-brown with a very light tan head, the beer exudes a distinctly chocolate mint aroma that is reminiscent of the little mints you get after the meal at Olive Garden. I expected something more like the girl scouts cookies, but this is more... minty? I can't say I smell malt or anything else under it - the mint and chocolate are strong, but this is supposed to be an after dinner dessert beer, so I'm down with that. First sip is MUCH more like the girl scout cookies than the Olive Garden mints. It almost has the texture of a cookie, but I suspect that is a special gift from the malt. 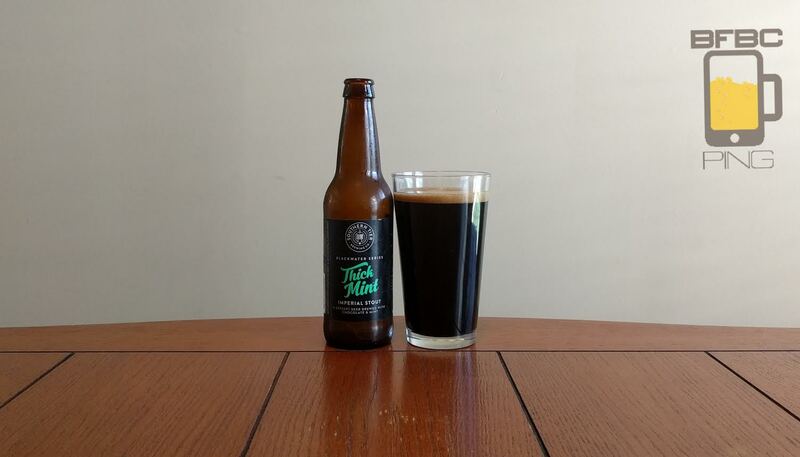 It is sweet and minty, and it is definitely appropriate as a dessert beer. Will it still be if I gulp? Tip-in is mild carbonation burn with the mint sticking out while the chocolate lays a bit dormant. There is a bitterness layered underneath that is almost imperceptible. The middle swaggers in with chocolate, a bit of coffee, and molasses to add to the mint. The finish is a solid Thin Mint cookie before trailing off with something darker. Bottom Line: Not an everyday beer, but an occasional treat.